Pulse Current or PHCA means the maximum output of the battery that is sustained for 5 seconds. After that, the battery will output its cold cranking amperage (CCA for short) on a cold engine or it will output its hot cranking amperage (HCA for short) on a warm engine. 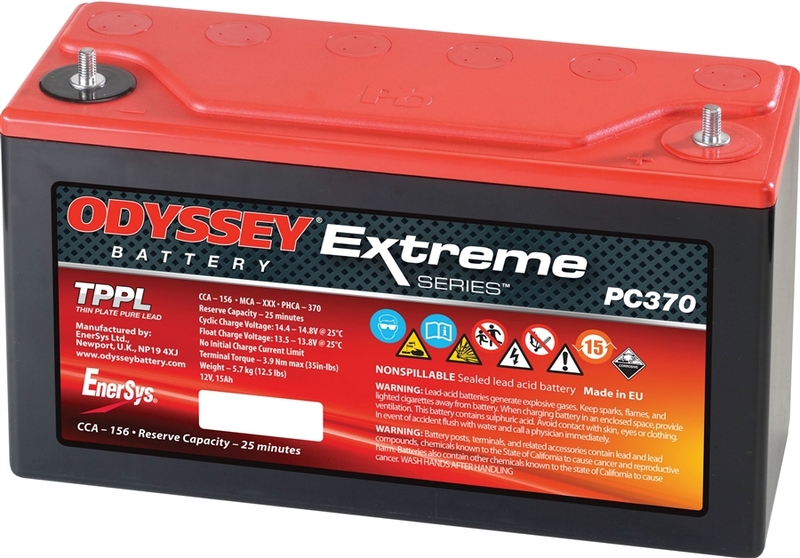 70% longer cycle life than conventional deep cycle batteries — high stable voltage for longer periods of time. Can be stored on open circuit (nothing connected to the terminals) without recharging for up to 2 years or 12.00V, whichever occurs first. 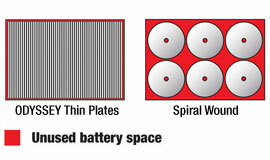 The highest recharge efficiency of any sealed lead battery on the market — capable of 100% recharge in 4-6 hours. Non-spillable design — can be mounted on any side in any position except inverted. Operating temperatures from -40°C (-40°F) to 45°C (113ºF), for models without a metal jacket, and from -40ºC (-40ºF) to 80ºC (176ºF) for models with a metal jacket. No need to add water, ever! Drycell design with resealable venting system. US Department of Transportation classified as a ‘non-spillable’ battery. No acid spills, no escaping gases. The CCA is an indicator of the power the battery can deliver for engine start when the engine is cold (i.e. the first start of the day). Consequently, bigger engines usually require higher CCA values to operate. CCA is measured in Amperes under normalised conditions (discharge at -18ºC, keeping battery voltage over a minimum value) according to the standard EN50342-1. 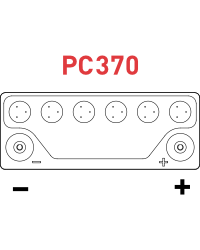 Hot Cranking Amps (HCA) basically refer to the amount of current a battery can provide at 26° C. The definition includes the amps the battery can deliver and maintain for 30 seconds at the minimum of 1.2 volts per cell.